In Six Months Or Less Regardless of the Number of Deals You’ve Done! If you know in your heart you should be making more money with your Real Estate Investment company, then let me show you a proven system designed to blow the lid off of your profits literally overnight. Late one night while sitting on a plane headed back to Atlanta, I struck up a conversation with one of my students. We were sitting in Delta’s jet discussing real estate and how we both got started. Sitting there sipping our drinks, we started talking about all the different deals we’ve done, the money we’ve made and even some of the not so glamorous deals. He told me for years he didn’t realize what he had when he purchased the “Whole Enchilada”. The wealth of knowledge contained in the system he owned. Here’s what he said, “You know Lou, you should have some sort of Real Estate Investment Course for all those folks who purchased your product. I bet there are thousands out there who don’t know what they have. A Real Estate Investment Training where we can come into a room, spend two days with you and learn how to eat the ‘Enchilada’ bite by bite. Your stuff is so good, I just hate that other Real Estate Investors have it sitting on their shelf not using it to the full potential. They don’t know how to use it right and maximize the huge profits sitting right in front of them day after day. 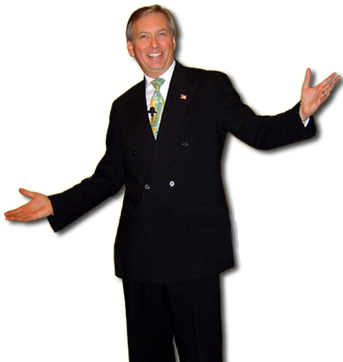 He was right, I had spent all this time creating this Real Estate Investment business in a box, (some call it a franchise) and had developed great Real Estate Investment Course, but I needed to create a live Real Estate Investment Training designed to give my students, the folks I so desperately want help, a leg up on this business. Right then the idea hit me like a bug on a windshield. You need a “Millionaire Jump Start Training” revealing exactly how to create profits the Street Smart® way. When I got home, I couldn’t sleep, read or do anything but play that conversation over and over again. You could call it back to the basics with Lou. I don’t care where you are in the investment cycle, this Real Estate Investment Training Course is for you. Miss this and your business won’t be as strong. One thing is for sure, you’ll learn something new you can use, or rediscover something old that you can put back in the arsenal. Either way, you’ll stop stepping over the dollars to get to the dimes. Another of the attendees had recently attended an event by another speaker. He had purchased my stuff and frankly debated whether or not to attend this 2-day course. In the end he came and within a few weeks he’s looking at big money deals across the nation!! These are multi-million dollar deals, which will generate huge amounts of profit with little or no money out of his pocket. All because of the Real Estate Investment Training Course he almost passed by. Okay Lou Tell Me, What’s Going To Be Covered? This used to be a 2-day event but frankly I have so much to share I couldn’t fit it all in, so I had to expand it to 3 full days! You know I like to pack my courses full of real things you can put to use right away in your business the second you return home. No messing around here, I like giving my knowledge to you so you can put it to work immediately. And there will be no stand-ins here. I personally teach every session myself! I’ll also have some members of my hand picked dream team, active Real Estate Investors who exclusively use my Street Smart® System sharing stories of success and showing how you too can immediately add additional profits to your business. Real Estate Investment Training: Money Making Secret #1: Getting Motivated Sellers to Call You! No more calling unmotivated sellers and getting rejected more times than a geek for the high school prom! I’ll show you how for over 28 years, I’ve been able to get deals brought to me and motivated sellers hunting me down to give me their house. Real Estate Investment Training: Money Making Secret #2: The Art of Structuring Deals: I’ve been doing this for ages and I love to share how I get sellers to give me the house, a check and even a jet ski or two. I’ll even show you how to get sellers to take back financing, even zero interest and zero payments. How to use lease options for both buying and selling, getting an option on the property for big bucks and little down; as little as $10 to control a massive house and make massive profits. It simply doesn’t get much better than this! Real Estate Investment Training: Money Making Secret #3: Negotiating Secrets Revealed: I love to negotiate, just ask Matt, one of my hand picked coaches. We recently went to an estate sale and he witnessed me structuring a deal to buy the house and contents right there on the spot. I don’t care if it is a million dollar house or a $35 dollar taxi ride in some obscure Caribbean Island . Everything is negotiable and I will show you how to get the best deals. Real Estate Investment Training: Money Making Secret #4: Trusts Simplified: A little confused on this entire Trust thing? Why to do it? How to do “Subject-To” safely? I’m going to show you my new fundamentals of Trusts training that will simplify the concept of Trusts so a 9 year old child can understand it. Real Estate Investment Training: Money Making Secret #5: Develop a Plan for Success in Real Estate: The wealthiest man ever to walk the earth left clues for us on how he amassed his great wealth and kept it. The key to his fortune was simple. He had a plan and he worked it. I’ll show you the secrets of this incredible skill that has not only made me a huge amount of money, it will make you millions as well. I’m one of the few who’s willing to share this amazing secret with you! You’ll leave with your own business plan ready to start on Monday! These are but a small sampling of the mysteries of real estate investments I’ll reveal. I have so many more things to share at this Real Estate Investment Course it would take many more pages to tell you everything you’ll learn. Simple. Your income will improve. Many of you reading this are not pleased with the level of your business right now. If you are doing well financially, you want more time off. Or maybe business is too up and down all at the same time. My question to you is: What will you do about it? I want to make this your best year ever in. It always goes back to the fundamentals. The great football coach Vince Lombardi always started the summer Real Estate Investment Training camps with the fundamentals. Even if they had just won the World Championship. Now don’t you think your business could use a few extra thousand dollars per month, per week or per day?? Let me show you how to do it! Keep reading, I’ll make it worth your time to be at this Real Estate Investment Training event. Okay Louis! How Much Is It? What is it worth to you to spend two full days with me and my dream team? You get to pump us full of questions, pick our brains, keep us up late at night breaking down your latest deal. What is that worth?? Frankly, two days of my time, away from my office, not doing my own deals, it can get expensive. I get over $15,000 for one day of consulting. I have tens of thousands of users of the Enchilada in all 50 states, Canada (are they a state yet?) and 10 foreign countries. And I have spawned or inspired a number of knock off artists and ‘Johnny-come-lately’ fakers who are frankly stealing my paperwork, ideas and Real Estate Investment Training but don’t have my over 30 years of experience. These people are selling unproven, untested ideas, NOT my truly battle tested Real Estate Investment Training system. In fact, I’ll bet the biggest Maine Lobster you can find that they’ll be here today and gone tomorrow, while Street Smart® just keeps creating millionaires day after day. I’m so confident you will be totally and completely satisfied with this 3-Day event, I am prepared to give you an unheard of guarantee that nobody else is willing to give. the Louis Brown Personal Guarantee! If my wife, Janice reads this she’s going to kill me! But I want to see you at this event. I know you’ll profit from this Real Estate Investment Training like none other available. I’m looking for raving fans to tell others about it. That’s why I’m prepared to make you this special guarantee. Attend this Real Estate Investment Course event and if at the end of 3 days you have not discovered 5 ways to make an additional $10,000 within 90 days of the event, simply go to the back of the room, see our staff and they will give you a complete refund, plus an additional 10% for the trouble! Let’s see someone else make an offer like that and stand by it!! At a mere $995 this is pennies compared to the profit you’ll earn. Pennies for all of the secrets I’m going to share with you over 2 jam-packed days of Real Estate Investment Training. This includes your “Millionaire Jump Start” Real Estate Investment Training manual and all class materials. So what is it worth to have the real deal, the original? I want you in the room, learning, sharing and growing… and later raving to your friends how good it was. That’s why I am going to sweeten the deal . Some call it bribes, some call it free stuff, I’ll call it personal gifts. Real Estate Investment Training: My Gift to You #1: As you are already a loyal client of Street Smart® Systems , I’m going to give you an additional $500 off this Real Estate Investment Training . Yes, you read this right, this is not a typo. I’m giving you over half off because I want you there! And you can bring a spouse or partner for FREE ! Real Estate Investment Training: My Gift to You #2: When you show up at the door for this prestigious event, I will give you $200 worth of Bucks to use for any future events, Real Estate Investment Training or products we have. You can use this for our new coaching program; Auction Profits! ; or any of the new programs we have in the pipeline. The difference between the successful and unsuccessful is ACTION . The top dogs in any business know they need to take action NOW to be successful. The lazy Jerry Springer-ites of this world are the ones sitting there hemming and hawing, wondering what happened to their lives! So my question is which one are you? A successful Real Estate Investor who recognizes a great opportunity or someone who is going to “wait and see” and lose the chance of a lifetime? For immediate service, you can call the office at 1-800-578-8580 from 8AM to 6PM eastern time and ask for the special Street Smart® deal. Or Fax in the registration form to 1-770-939-3177. There are only a limited number of seats left and frankly we don’t expect them to last long. Don’t delay, take action now in your life to attend a special event. P.S. If your business has slowed down or needs a swift kick in the fanny, then get up out of the chair and get registered for this event! I’ll show you how to get your marketing machine rolling in more deals than you can shake a stick at. A really big stick!! P.S.S. Hurry, seating is limited. P.S.S.S. Sign Up Quick for my Real Estate Investment Course and my Real Estate Investment Training!! !